Working in paper and adding some mixed media such as beads or crystals, I create vintage fashion illustrations and accessories for the Parisian haute couture brands. 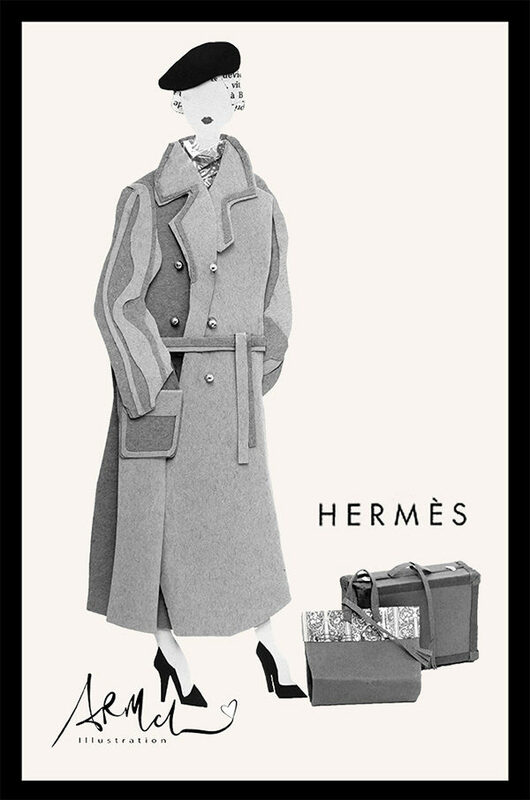 This is Hermès from 1948. Creating a 3 dimensional look is achieved by paper shades, or by rolling and sculpting the paper. Each illustration can take a day to construct, and I try to research as much as possible the original colors. Going to the Dior exhibit in Paris recently, I took as many pictures of the fashion for future color reference. The artwork is photographed and then digitized in Photoshop.